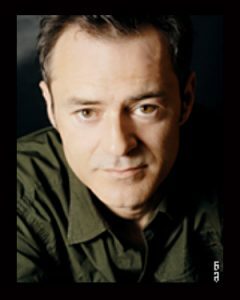 Sean Murphy hails from Dublin and has worked in theatre, film and TV for over 20 years. Plays at the Abbey include ‘She Stoops to Conquer’, ‘Philadelphia, Here I Come!’ and ‘The Well of the Saints’ which won the prestigious Critics Award at The Edinburgh Festival and toured to Paris and Perth, Australia. At The Gate ‘Three Sisters’, ‘Romeo and Juliet’ and ‘You Never Can Tell’ For Galloglass ‘Measure for Measure’ and the critically acclaimed ‘Gulliver’s Travels’ which toured extensively throughout Ireland. Television work includes Damo and Ivor, Little White Lie, and Fair City. Film work includes ‘I Went Down’, ‘The Secret of the Cave’ and ‘The League of Gentlemen’s Apocalypse’. Sean recently wrote, directed and starred in his first film ‘The Stand Up’ which received six nominations at the Underground film festival. The Secret of the Cave Pastor Zach Gray Shadowhawk Prods. Diploma in Drama, London Guildhall.